Long live holidays in Provence-Alpes-Côte d'Azur with this 4 star campsite! Every year, the Domaine de La Sainte Baume campsite welcomes campers looking for a change of scenery and offers them a rural campsite with a family spirit. You will find this location in the Sainte Baume massif, 45 km from the Mediterranean coast (the beaches of Cassis, of La Ciotat, etc.). Put down your suitcases and make way for relaxation! Slide down the large slides, revel in the warm water in the swimming pool, relax in the solarium, watch various festive shows in the evening, make the most of the mini-club and the entertainment for teenagers, etc. Recharge your batteries at the heart of this exotic setting nested in the south of France. Opt for comfortable mobile-homes at the heart of the Domaine de La Sainte Baume campsite, surrender to idleness while sipping from a glass under the parasols in your spare time. Take part in sport and have fun doing tennis, volleyball, ping-pong or petanque. Here, shows, dances, communal barbecues, various shows follow one another for each and everyone's happiness. 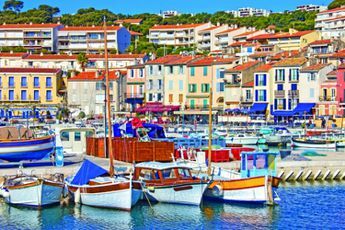 As nature lovers, get ready to set off on the discovery of Aix-en-Provence and the Côte d'Azur ! Aix en Provence train station (60 km). At the Domaine de La Sainte Baume campsite, you will be at the heart of the Provence-Alpes-Côte d'Azur region, on the border of the Var and the Bouches-du-Rhône. 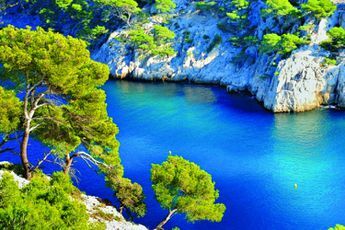 You will enjoy a very good location for discovering the coves of Cassis. A stone's throw from the campsite, you can visit the village of Nans-les-Pins, go for hikes in the Sainte Baume massif, and climb the chemin des Rois.